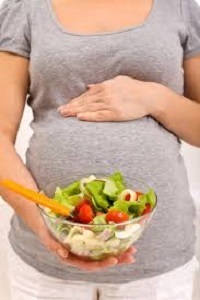 How can I plan healthy meals during pregnancy? What are the five food groups? Are oils and fats part of healthy eating? Why are vitamins and minerals important in my diet? How can I get the extra amounts of vitamins and minerals I need during pregnancy? What is folic acid and how much do I need daily? Why is iron important during pregnancy and how much do I need daily? Why is calcium important during pregnancy and how much do I need daily? Why is vitamin D important during pregnancy and how much do I need daily? Can being overweight or obese affect my pregnancy? Can caffeine in my diet affect my pregnancy? What are the benefits of including fish and shellfish in my diet during pregnancy? What should I know about eating fish during pregnancy? How can food poisoning affect my pregnancy? What is listeriosis and how can it affect my pregnancy? Planning healthy nutrition during pregnancy is not hard. The United States Department of Agriculture has made it easier by creating www.choosemyplate.gov. This website helps everyone from dieters and children to pregnant women learn how to make healthy food choices at each meal time. With MyPlate, you can get a personalized nutrition and physical activity plan by using the “SuperTracker” program. This program is based on five food groups and shows you the amounts that you need to eat each day from each group during each trimester of pregnancy. The amounts are calculated according to your height, prepregnancy weight, due date, and how much you exercise during the week. The amounts of food are given in standard sizes that most people are familiar with, such as cups and ounces. 1. Grains – Bread, pasta, oatmeal, cereal, and tortillas are all grains. 2. Fruits – Fruits can be fresh, canned, frozen, or dried. The juice that is 100% fruit juice also counts. 3. Vegetables—Vegetables can be raw or cooked, frozen, canned, dried, or 100% vegetable juice. 5. Dairy – Milk, and products made from milk, such as cheese, yogurt, and ice cream, make up the dairy group. Although they are not a food group, oils, and fats to give you important nutrients. During pregnancy, the fats that you eat provide energy and help build many fetal organs and the placenta. Most of the fats and oils in your diet should come from plant sources. Limit solid fats, such as those from animal sources. Solid fats also can be found in processed foods. Vitamins and minerals play important roles in all of your body functions. During pregnancy, you need more folic acid and iron than a woman who is not pregnant. Taking a prenatal vitamin supplement can ensure that you are getting these extra amounts. 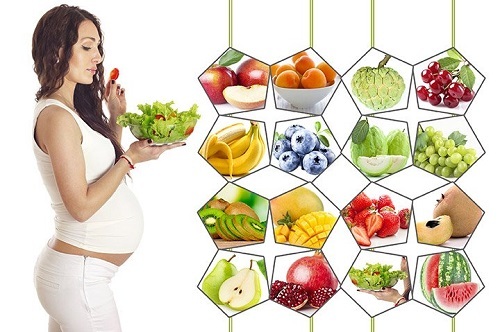 A well-rounded diet should supply all of the other vitamins and minerals you need during pregnancy. Folic acid, also known as folate, is a B vitamin that is important for pregnant women. Before pregnancy and during pregnancy, you need 400 micrograms of folic acid daily to help prevent major birth defects of the baby’s brain and spine called neural tube defects. Current dietary guidelines recommend that pregnant women get at least 600 micrograms of folic acid daily from all sources. It may be hard to get the recommended amount of folic acid from food alone. For this reason, all pregnant women and all women who may become pregnant should take a daily vitamin supplement that contains folic acid. Iron is used by your body to make a substance in red blood cells that carry oxygen to your organs and tissues. During pregnancy, you need extra iron—about double the amount that a nonpregnant woman needs. This extra iron helps your body make more blood to supply oxygen to your baby. The daily recommended dose of iron during pregnancy is 27 mg, which is found in most prenatal vitamin supplements. You also can eat iron-rich foods, including lean red meat, poultry, fish, dried beans and peas, iron-fortified cereals, and prune juice. Iron also can be absorbed more easily if iron-rich foods are eaten with vitamin C-rich foods, such as citrus fruits and tomatoes. Calcium is used to build your baby’s bones and teeth. All women, including pregnant women, aged 19 years and older should get 1,000 mg of calcium daily; those aged 14–18 years should get 1,300 mg daily. Milk and other dairy products, such as cheese and yogurt, are the best sources of calcium. If you have trouble digesting milk products, you can get calcium from other sources, such as broccoli; dark, leafy greens; sardines; or a calcium supplement. Vitamin D works with calcium to help the baby’s bones and teeth develop. It also is essential for healthy skin and eyesight. All women, including those who are pregnant, need 600 international units of vitamin D a day. Good sources are milk fortified with vitamin D and fatty fish such as salmon. Exposure to sunlight also converts a chemical in the skin to vitamin D.
The amount of weight gain that is recommended depends on your health and your body mass index before you were pregnant. If you were a normal weight before pregnancy, you should gain between 25 pounds and 35 pounds during pregnancy. If you were underweight before pregnancy, you should gain more weight than a woman who was a normal weight before pregnancy. If you were overweight or obese before pregnancy, you should gain less weight. Overweight and obese women are at an increased risk of several pregnancy problems. These problems include gestational diabetes, high blood pressure, preeclampsia, preterm birth, and cesarean delivery. Babies of overweight and obese mothers also are at greater risk of certain problems, such as birth defects, macrosomia with possible birth injury, and childhood obesity. Although there have been many studies on whether caffeine increases the risk of miscarriage, the results are unclear. Most experts state that consuming fewer than 200 mg of caffeine (one 12-ounce cup of coffee) a day during pregnancy is safe. Omega-3 fatty acids are a type of fat found naturally in many kinds of fish. They may be important factors in your baby’s brain development both before and after birth. To get the most benefits from omega-3 fatty acids, women should eat at least two servings of fish or shellfish (about 8–12 ounces) per week and while pregnant or breastfeeding. Some types of fish have higher levels of a metal called mercury than others. Mercury has been linked to birth defects. To limit your exposure to mercury, follow a few simple guidelines. Choose fish and shellfish such as shrimp, salmon, catfish, and Pollock. Do not eat shark, swordfish, king mackerel, or tilefish. Limit white (albacore) tuna to 6 ounces a week. You also should check advisories about fish caught in local waters. Wash food. Rinse all raw produce thoroughly under running tap water before eating, cutting, or cooking. Keep your kitchen clean. Wash your hands, knives, countertops, and cutting boards after handling and preparing uncooked foods. Avoid all raw and undercooked seafood, eggs, and meat. Do not eat sushi made with raw fish (cooked sushi is safe). Food such as beef, pork, or poultry should be cooked to a safe internal temperature. Body Mass Index: A number calculated from height and weight that is used to determine whether a person is underweight, normal weight, overweight, or obese. Gestational Diabetes: Diabetes that arises during pregnancy. Macrosomia: A condition in which a fetus grows very large. Miscarriage: Loss of a pregnancy that occurs before 20 weeks of pregnancy. Neural Tube Defects: Birth defects that result from incomplete development of the brain, spinal cord, or their coverings. 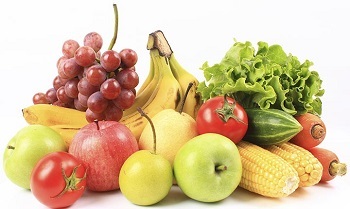 Nutrients: Nourishing substances supplied through food, such as vitamins and minerals. Preeclampsia: A condition of pregnancy in which there are high blood pressure and protein in the urine. Preterm: Born before 37 weeks of pregnancy. Trimester: Any of the three 3-month periods into which pregnancy is divided. FAQ001: Designed as an aid to patients, this document sets forth current information and opinions related to women’s health. The information does not dictate an exclusive course of treatment or procedure to be followed and should not be construed as excluding other acceptable methods of practice. Variations, taking into account the needs of the individual patient, resources, and limitations unique to the institution or type of practice, may be appropriate.